With Chinese new year fast approaching, I want to share with you a Friday night favourite in our house: Fried beef and onion dumplings. I didn't try dumplings until I moved to Melbourne, where Mr Steph soon introduced me to a little place we have no idea the name of in China town. It is simply known as "the dumpling place with the red door". This is no joke. We honestly walk down the alleyway looking for the red door we know and love! Every now and then we'd be at home and would have a hankering for dumplings but we didn't want to drive into the city to have them. The area we've recently moved to is great, but not so great for Asian cuisine. It's all just Indian and Italian. We did find one place a suburb over which was OK, however it just wasn't the same. 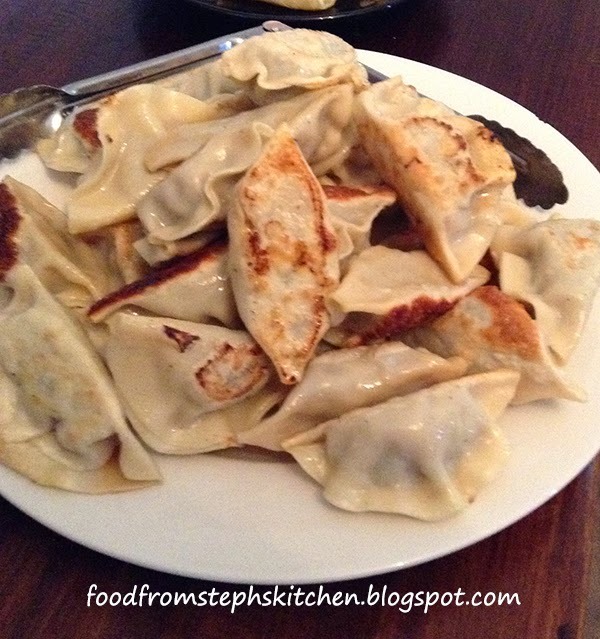 I started off with an Indonesian dumpling recipe, carting one of my work friends off with me into an Asian grocer to help me find the ingredients and make sure I was translating the recipe correctly. I soon became a little more brave and started visiting on my own, hoping I was picking the right things off the shelves. 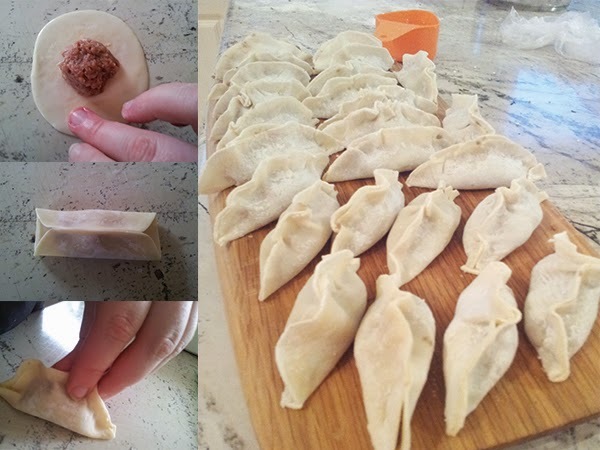 Over time I created my own dumpling recipe. This recipe uses your everyday beef mince - so don't stress about having to mince your own. It also uses ingredients that you can find in most supermarkets. However, I would check out your local Asian grocer as they have a much wider range to choose from. 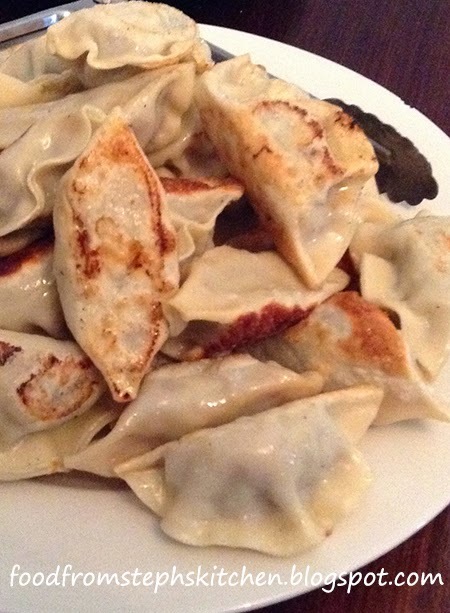 I use gyoza dumpling wrappers as I found they work much better than wonton wrappers. But if you have the nack for them, you can simply use wonton wrappers instead. I haven't found a grocery store that sells gyoza dumpling wrappers yet, so you may have to visit the Asian grocer for it. Now, a bit of a disclaimer to start with. These are by no means traditional, so if you have a traditional or family recipe I'm apologising a head of time. 1/2 onion, finely diced and fried until golden brown. 1. Add all your ingredients in a large bowl. Using your hands, mix the mixture for a couple of minutes until well combined. The reason I mix for so long - and with my hands - is that it starts to bring out the fat in the mince, creating more like a sausage mince than mince. This gives the dumpling a smoother texture, and ensures it won't be too "mincy" and turn out more like a rissole. The longer you can work the mince the better. You are looking for a smooth, sausage meat looking mixture. 2. Now onto putting the dumplings together. I've had a look a several YouTube videos for this, but I couldn't work out what they were doing. Anyway, this is my imperfect (most likely lazy) way of doing it. Add in a teaspoon of mixture into the middle of the gyoza wrapper. Dip your finger into some water and run it around the edge of the wrapper, making sure you go all the way round and right to the edge. Bring up both sides of the wrapper and press together. The water will help them stick. If they are not quite sticking, dab a little more water on the edges. Using your fingers, pin the edges of the dough together until it looks almost like crinkle cut. I like to use three fingers for this: Two on one side of the dumpling and one on the other. I then pinch the dough together to give it that wavy, crinkle look. I usually do this once on each side and in the middle. 3. Continue until you have no more dumpling mixture. 4. Now, onto steaming the dumplings. If you don't have a bamboo steamer like me, simply use a steel colander over a large pot of water. Fill up the pot at least half way (making sure the colander sits out of the water), and bring to the boil. Once boiling, turn down the heat slightly so that it'll gently bubble away while you're cooking your dumplings. Sprinkle a little bit of water into the bottom of the colander (just to stop the dumplings from sticking to the bottom), and place in as many dumplings as you can - making sure they aren't touching each other. If they are too close you'll have a group of dumplings instead. Cook the dumplings until the dough starts to go slightly transparent and you can see the brown of the mince showing through. Remove from the "steamer" and place on a plate with some baking paper on the bottom. 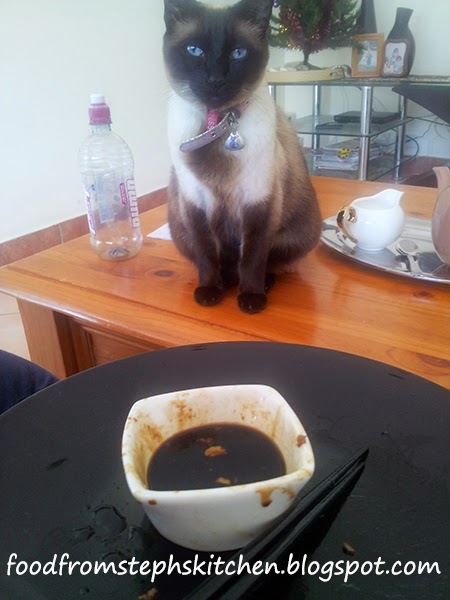 Again, this is going to stop those naughty little dumplings from sticking to your plate. Depending how good you are at multiple tasking, you can start to fry up your dumplings while still steaming. But it's ready up to you and also how many dumplings you can steam at a time. I can steam six dumplings at a time in my colander, and usually wait until I have about twelve before I start frying them up. 5. Next, we are going to pan fry our dumplings until they have some gorgeous dumplings. If you prefer steamed dumplings simply skip this step. 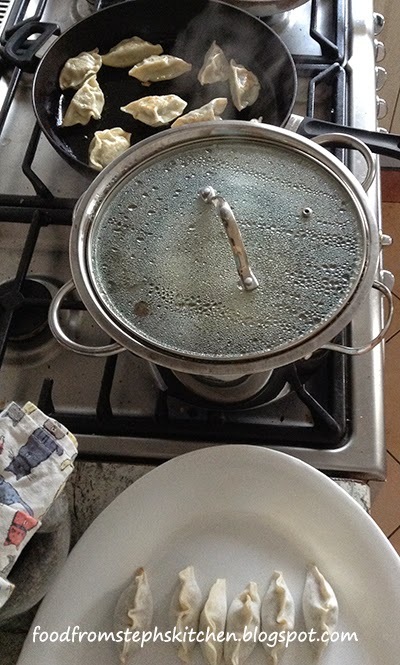 Drizzle in a generous amount of vegetable oil, making sure it coats the bottom of your pan by at least a millimetre. Heat up the pan and then place your dumplings in side down. Fry until golden, then turn to fry the other side. My favourite dipping sauce is a mix of kecap manis and soy sauce. Mr Steph loves chilli oil, which you can get from your local Asian grocer.